New Bike Owner's Clinic - Learn how to fix a flat tire, proper shifting techniques, tips to make your cycling more comfortable. 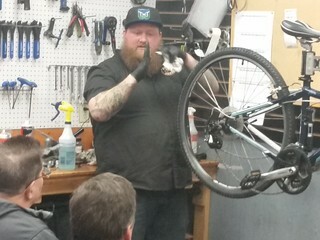 Full Repair Clinic - Gain a better understanding of the way your bicycle works and how to make adjustments. 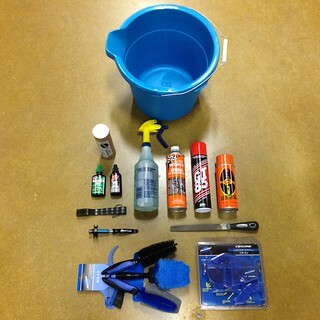 How to Clean Your Bike Clinic - Learn the correct way to clean your bicycle, step-by-step. You don't have to be a new bike owner to attend Pedal Power's New Bike Owner's Clinic. During this class, experienced Pedal Power staff will teach you the steps to fix a flat tire, as well as the equipment needed so you can be self-sufficient when you're riding by yourself. We will also show you proper shifting techniques & share other tips to help make your riding more fun. Classes are available at all Pedal Power locations and are $10 to attend (PPCT members get in for free). A $10 coupon will be given to those who attend to be used towards obtaining your new repair tools. After completing this two-night class, you will have a working knowledge of adjusting your gears, brakes, bearings, and straightening wheels. 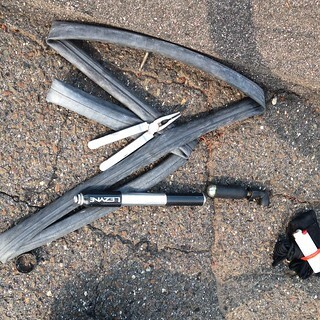 You will also learn what specialized tools are required to properly tune your bicycle. If you aspire to becoming a bicycle mechanic or simply wish to have a better understanding of how your bicycle works, this class is the perfect primer. Classes are taught by a seasoned bicycle technician and all questions are welcome. Course content is based on a standard bicycle with rim or disc brakes, and external gears. Suspension component and hydraulic brake questions are welcome after the class. Classes are split into two sections, and payment is required to attend. Classes are typically offered several times a year during the Fall, Winter or early Spring months. Please check our event calendar for upcoming sessions. Let one of our technicians teach you the professional way to correctly clean your bicycle. This clinic will go into detail and address one of our most oft-asked questions, "What's the best way to clean my bike?" Our professional cleaning process has been developed over the course of 16-plus years of service work. Our method is different from what you've read in all of the cycling magazines and online forums. Learning the right way to clean will allow your brakes to still work correctly, fittings will still hold their precious, valuable grease, and result in an eye-blinding, showroom quailty sheen, guaranteed to make your bike work better. This clinic is limited to only 12 spaces and registration is required for attendance. Registration can be done in-person or on the phone (have your credit card handy). Clinics are available at all three locations & typically occur during the Fall and Winter months. Check our events calendar for the next available sessions.